A year ago, the Miami Heat presented an offer to Josh Richardson, who later accepted the deal. This year, Justise Winslow is now eligible to sign an extension. However, Miami Herald's Barry Jackson reports the team hasn't presented an offer to the forward and doesn't know if they will. Winslow is set to make $3.5 million this upcoming season, and the Heat have until Oct. 31 to decide if they want to keep him by extending his contract beyond 2018-19. Complicating matters for Winslow are the contracts the Heat have already signed with some of their other role players, including fellow wings Josh Richardson and Tyler Johnson. This could make it likely Winslow hits the 2019 restricted free agency market. Allowing Winslow to enter restricted free agency comes with risks, even though Miami can match any offer. They could commit a lot of money to Winslow that they could regret later. 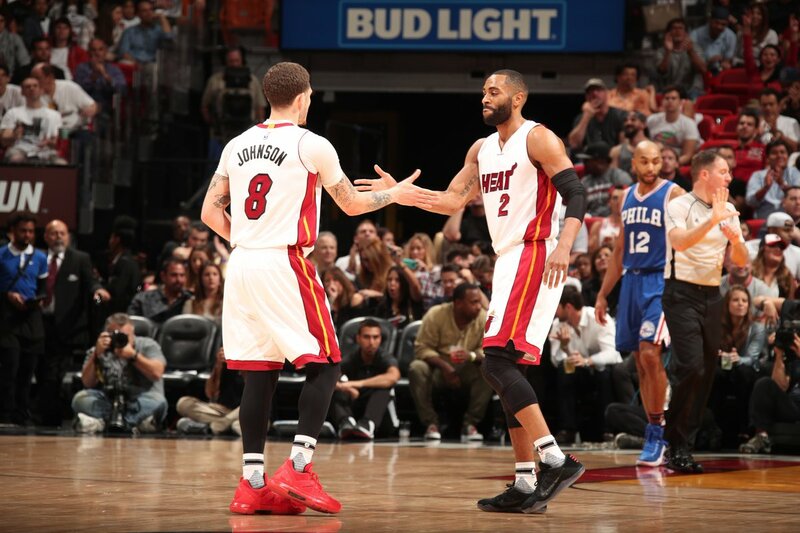 Two years ago, Miami matched a four year, $50 million Brooklyn offer to retain Tyler Johnson. A decision Miami likely regrets today. Jackson cites a opposing NBA general manager who said that he could see Winslow getting a contract starting at $9 million or so. Would Miami want to spend long-term money on Winslow, preventing them from having cap space in 2020 to sign a star free agent? Despite dealing with injuries over his first three seasons, Winslow has shown the potential to become a "3-D" player. He can defend positions 2-4 and has been able to switch on point guards and centers. Over three seasons, Winslow has shot 31.4 percent from beyond the arc. His three point percentage jumped a bit this past season at 38 percent, though it’s a small sample size with only 128 attempts. But still, it's an improvement from his previous high of 27 percent. Winslow last season averaged 7.8 points, 5.4 rebounds and 2.2 assists.